The use of different techniques and tools is a common practice to cover all stages in the development lifecycle generating a very good number of work products under different formats and protocols. This situation implies that a collaborative environment may have the potential of integrating all these data sources creating a real knowledge graph of the development lifecycle easing tasks such as traceability, V&V or quality management. In this light, the OSLC (Open Services for Lifecycle Collaboration) initiative pursues the creation of specifications to unify under a common and shared data model (the Resource Description Framework‐RDF) all pieces of information and data involved in the development of a system. 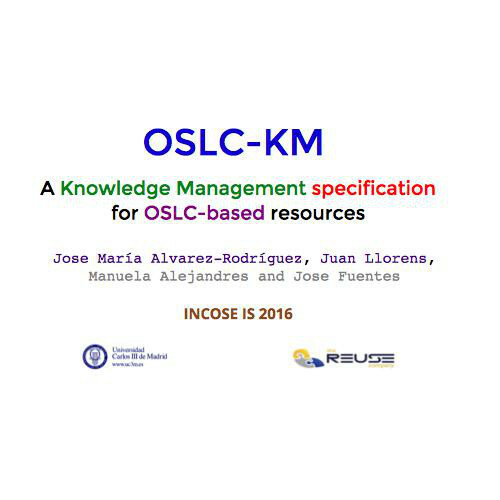 The present paper introduces the concept of knowledge management, outlines an OSLC‐based specification in the context of Systems Engineering and presents a case study exposing product scheme classifications.